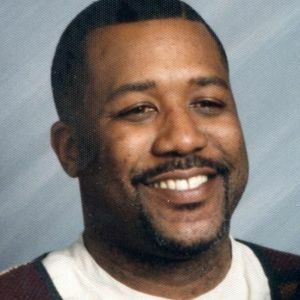 Charles Kennedy, Jr., 57, of Bloomfield, beloved husband of Sherlye M. Jackson-Kennedy, passed away peacefully on Friday, (April 27, 2012) surrounded by his family at Hartford Hospital. Born in Hartford on July 30, 1954, son of Charles Kennedy, Sr. of Hartford and the late Clarice (Harris) Kennedy, he was raised in Hartford and attended Hartford Public Schools. Charles enlisted in the U.S. Air Force in 1981 and was honorably discharged as Sergeant in 1986. After returning from the service, Charles took a position with the Department of Corrections as a correctional officer and had recently retired after 21 years of service at MacDougall-Walker Correctional Facility in Suffield and Bergin Correctional Facility in Mansfield. In his spare time, he enjoyed listening to jazz music and attending jazz concerts by his favorite musicians. He also enjoyed taking rides in his Saab convertible and reading and studying different spiritual perspectives by a variety of authors. An avid sports fan, Charles loved watching professional and college basketball, football and baseball, especially his favorite teams, the New York Giants, the New York Yankees, the New York Knicks, and the UConn Huskies. He was a faithful member of The First Cathedral in Bloomfield. Besides his wife, he leaves two sons, Marques D. Beasley of Hartford and Charles K. Jackson of Bloomfield; a brother, Kyle Kennedy and his wife Linda of Bakersfield, CA; four sisters, Audrey "Robin" Kennedy of Bloomfield, Jackie Kennedy of Hartford, Madonna Kennedy of Manchester, and Rebecca Morgan of Bloomfield; his granddaughter, Lyric Beasley; two very special friends, his life brother, Anthony D. Brown of Hartford and his life sister, Laverne Grist of Bowie, MD; special loved ones, Barbara Gist and Dee Simpson; 14 nieces and nephews; and a host of other relatives and friends. Besides his mother, he was predeceased by a niece, Nikita Williams. A Homegoing service will be held on Monday, May 7, 11 a.m., at The First Cathedral, 1151 Blue Hills Ave., Bloomfield. Burial with Military Honors will follow in Mountain View Cemetery, Bloomfield. His family will receive friends on Monday, May 7, 10-11 a.m., prior to the service at The First Cathedral. The family has requested that memorial donations be made to the American Cancer Society, 825 Brook St., I-91 Tech Center, Rocky Hill, CT 06067 or to LifeChoice Donor Services, 8 Griffin Rd. N, Suite 200B, Windsor, CT 06095. Carmon Windsor Funeral Home has been entrusted with the arrangements. For online condolences please visit, www.carmonfuneralhome.com. My deepest condolences to the Kennedy family. Chuck will be remembered for his sweet, kind spirit and his infectious laugh. May you find strength in God's unfailing love during ths difficult time. To the Family, I am sorry to hear about the loss of Charles. My thoughts and prayers are with you in your time of grief. May your memories bring you comfort. To the Kennedy Family, our prayers and thoughts are with you in the loss of your Brother and Uncle. May God's grace sustain you during this time. Take comfort in Hebrews 13:5. My condolences to the family and Mrs Kennedy for his heartfelt laughter will surely be missed and he will forever be remembered as one of the good guys.